September 11, 2015 marks the 14th anniversary of one of the most tragic days in America's history. On that fateful day in 2001, almost 3, 000 innocent civilians lost their lives to one of the most brazen and deadliest terrorist attacks on American soil. Organized by Islamic extremist organization Al Qaeda and its leader Osama Bin Laden, it led to the ongoing "Global War On Terrorism", and changed life as we knew it, forever. The chain of events began to unfold early in the morning of the 11th. Nineteen Al Qaeda members, split into four groups each with a trained pilot, hijacked four commercial flights - United Flight 93 from New Jersey, American Flight 77 from Washington DC, and United Flight 175 and American Flight 11, from Boston. The planes were selected because they were all heading across the country to either Los Angeles or San Francisco, and hence had enough fuel to allow the terrorists to inflict the maximum damage. While the passengers on the hijacked airplanes realized something was amiss shortly after the flights took off, the rest of America was blissfully unaware of any wrongdoing until 8:46 AM (EST). That's when American Flight 11 was seen heading directly toward New York City's tallest buildings - The World Trade Center's Twin Towers. Before anyone had time to react, the plane crashed into the North Twin Tower, creating a massive impact hole all the way from the 93rd to the 99th floor. Experts immediately began to speculate whether the "accident" had been caused by a pilot error or an airplane malfunction. The idea of a terrorist attack on U.S. soil did not even occur to anyone. However, that opinion changed within the next half hour. At 9:03 AM (EST) United Flight 175 made its way directly to the South Twin Tower, creating a giant gash all the way from the 77th to the 85th floors. At 9:37 (EST) a third airplane (American flight 77) hit the Pentagon and shortly after, United Flight 93 crash-landed in an empty field on the outskirts of Shanksville, Pennsylvania. By now it was obvious that America had just experienced a well-orchestrated terrorist attack. The aftermath was horrific, especially for the majestic Twin Towers. The fires from the impact of the airplanes were intensified by the fuel in the fully-loaded airplanes. These weakened the steel support trusses that attached each of the 110 floors to the building's exterior. This combined with the initial impact of the planes, caused both Towers to crumble into a giant heap of cement and steel. What is more disheartening is that even experts did not realize this could happen. Hence while most of the estimated 16, 000 - 18, 000 people that were in the WTC complex were safely evacuated, many first responders - firefighters, paramedics, and police, rushing in to help those injured or trapped, did not make it out. 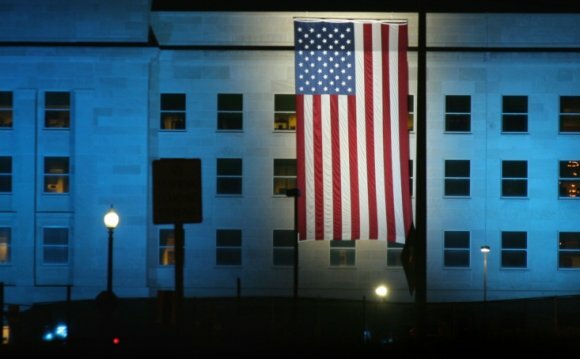 Though the Pentagon building did not suffer the same fate, the attack did kill 184 people. The Good Life is a 2006 novel written by Jay McInerney. A sequel to his 1992 novel, Brightness Falls, it takes place immediately before, during, and after the events of September 11, 2001. September 11, 2001 - ABC News Coverage" was the network's team coverage of the events of the attacks on America. Diane Sawyer, Charles Gibson, Peter Jennings and John McWethy are among the Peabody award winning news team.